Much is being written about the church, Mary Sawyer says, but established theologians and sociologists of religion typically limit their inquiries to white, establishment Christianity. Yet this is only one segment of the church. And so they miss writing about Christian community at all-for Christian community is lived community. The attention paid to white churches is uninformative and even misleading insofar as African Americans, Latina/os, Native Americans, and Asian Americans are concerned. Their experiences, in the world and in the church, are markedly different and cannot be generalized from the white population. 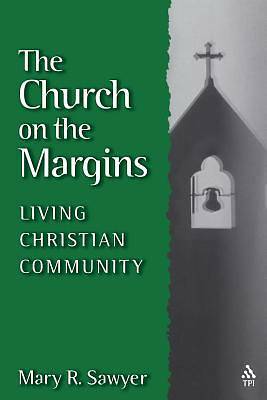 Moreover, examining the church on the margins offers valuable insights for all churches looking to build living Christian community. This book explains expressions of the Christian religion that have survived, or are struggling to survive, the distortions caused by ignoring the church on the margins. In traditional church circles, community may refer to a gathering for food and fellowship, a Bible study class or adult forum, or charity and service to the needy. Community as lived by these Christians on the margin, however, is a group of people coming together intentionally to live the gospel values of inclusiveness, justice, and caring in order to create a transformed world. Mary R. Sawyer is Associate Professor of Religious Studies at Iowa State University, Ames, Iowa, where she also teaches in African American studies. She is the author of Black Ecumenism: Implementing the Demands of Justice and co-editor of People's Temple and Black Religion in America.